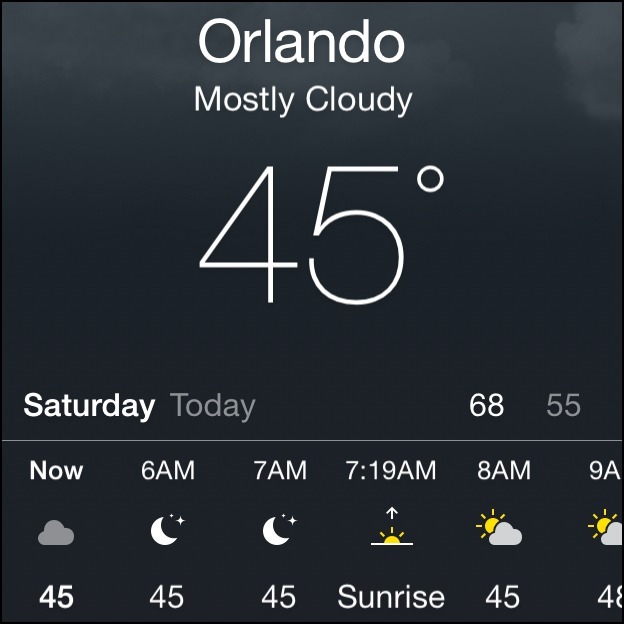 Forecasted low of 55, but currently 45?? If someone can explain that to me it would be much appreciated. 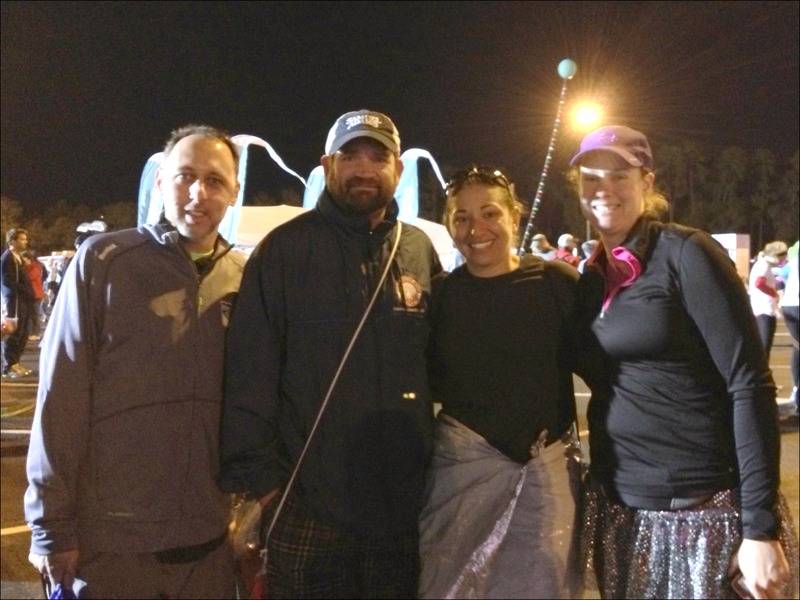 Jason, Tom, me & Amanda from the Mashpee Marathon Sports run club! 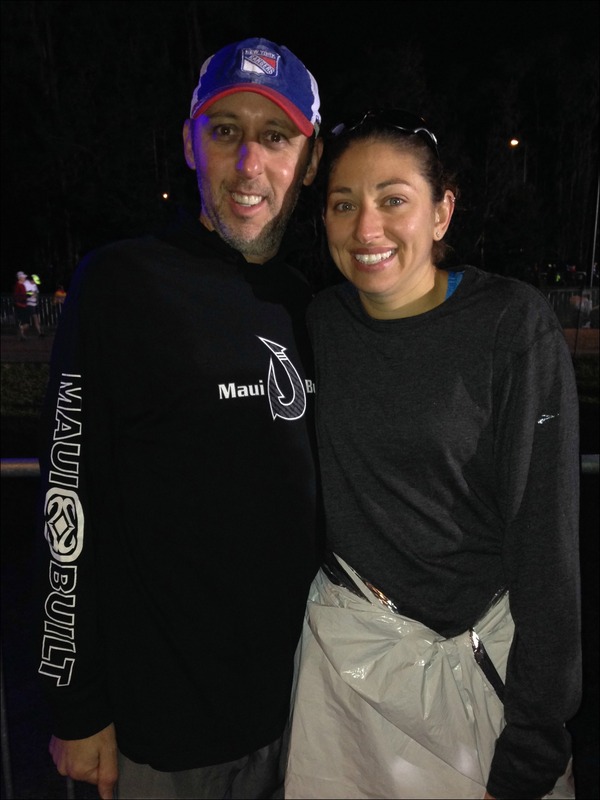 …before dropping off our checked bags, making a quick porta-potty stop and then beginning the long trek over to the starting corrals – I can’t tell you how excited I was getting for Jason’s first half marathon at this point! Trying to stay warm in the starting corral! Each corral was sent off with fireworks and finally it was our turn! I think I was grinning ear to ear (through my chattering teeth!) over the excitement of running Jason’s first half marathon with him! Our plan was that we would walk through water stops to make sure we were fueling and hydrating enough (and avoid a repeat performance of my NYCM under fueling!) and we’d stop for some characters if the lines weren’t too long. It being Jason’s first half marathon and since I was running the full marathon the next day we didn’t have any time goals. 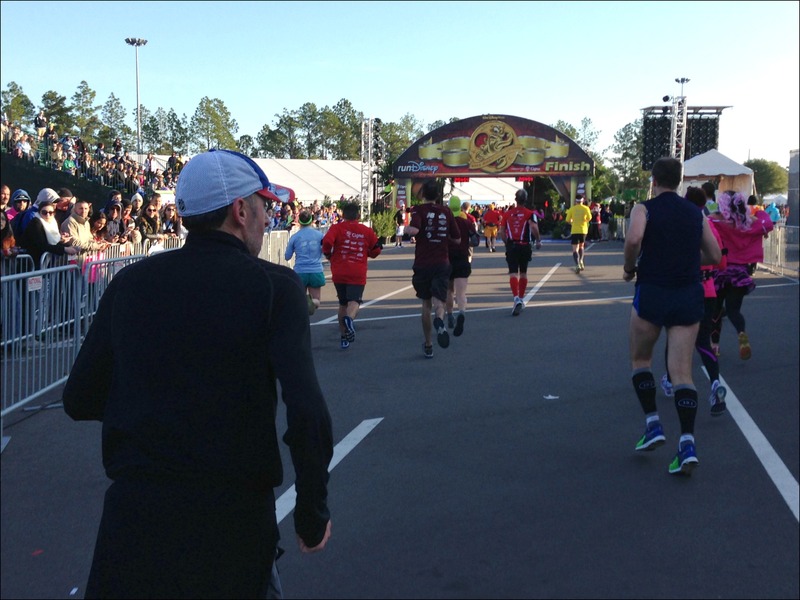 The first few miles went by quickly and soon we were running though the Transportation and Ticket Center on our way towards the Magic Kingdom! Before entering the Magic Kingdom there’s a steep downhill and then steep uphill to go under the water bridge. 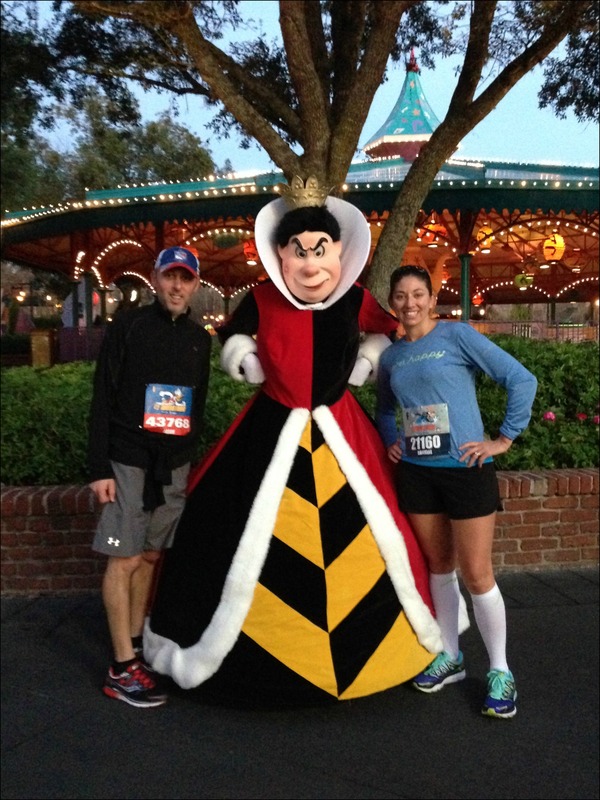 Unfortunately something about that steep downhill aggravated Jason’s knee which hasn’t bothered him since it sidelined him from running the Disneyland Half Marathon at the end of August (which was supposed to be his first half marathon). We stopped and walked for a bit, but we were about to turn into the Magic Kingdom, so I encouraged Jason to try to run down Main Street and take it all in! Entering Fronteirland we made a quick bathroom stop (yay for in park bathrooms!) 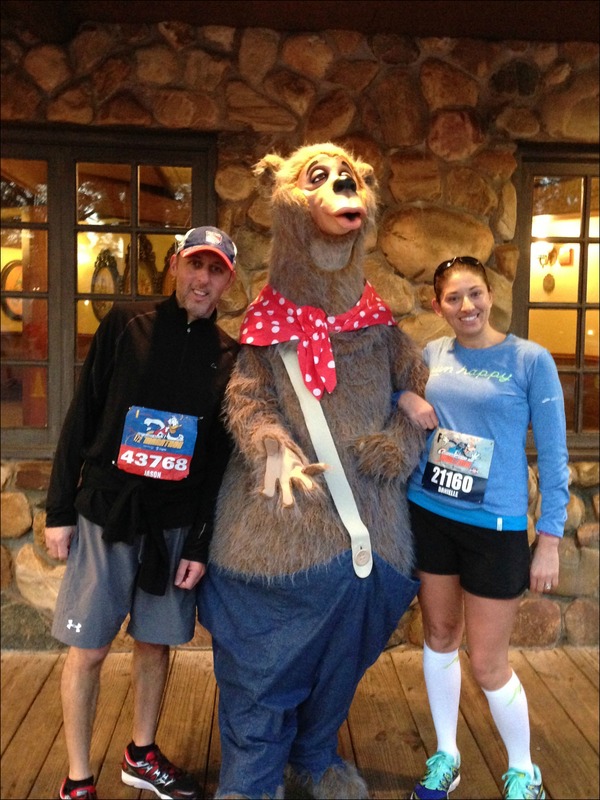 and then took a quick photo outside the Country Bear Jamboree! 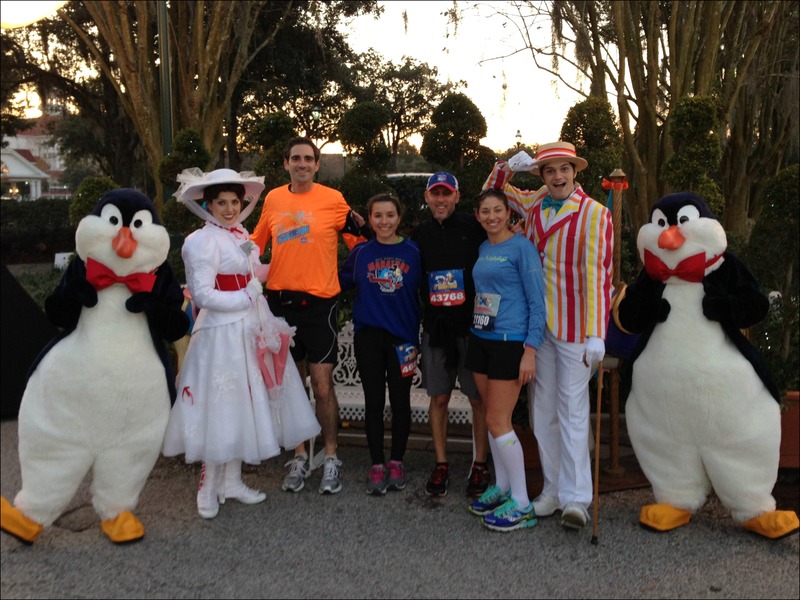 We exited the Magic Kingdom just past mile 6 and were headed towards the Grand Floridian where I was hoping to see my friend Megan spectating! Since I had my phone in my hand (to take pictures! ), I saw our 10k split text pop up and moments later my friend Daniel’s came through! I knew he had to be right behind us, so as we jumped in line for a picture with Mary Poppins I kept a lookout for him and his girlfriend Tana. And just past Mary Poppins I spotted Megan! Funny story – Megan and I had plans to go to dinner that night (since we’ve been social media/ blog friends for a couple of years now! ), but this moment during the race was actually the first time we met in person! Jason’s knee pain was coming and going and at times it was pretty bad so we threw in a few extra walk breaks and decided character stops would be a good break – especially when I spotted this one up ahead! 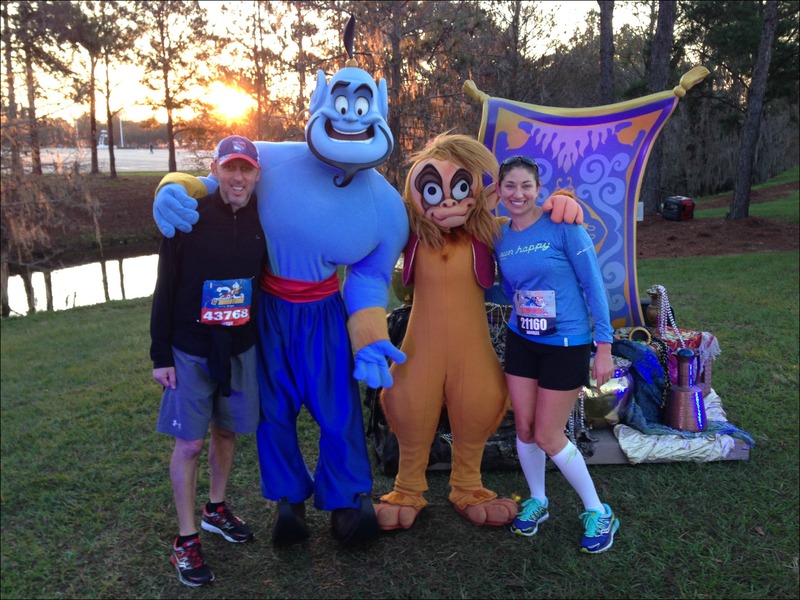 Aladdin was my favorite movie growing up and I just LOVED Genie and Abu so there was no way I was passing this one up – honestly, this picture was worth running 13.1 miles alone! 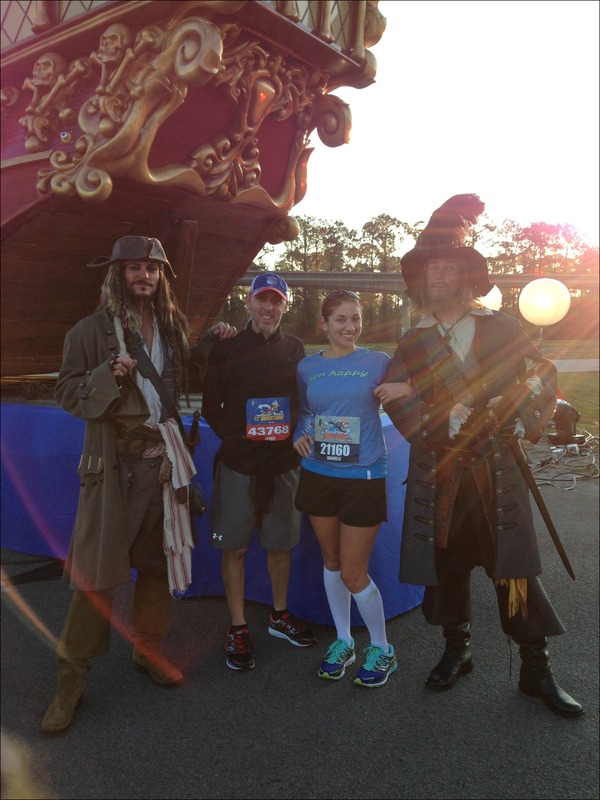 A few miles later we came to the pirate ship with Captain Jack and Barbossa – we had passed them earlier on in the race, but skipped a photo since the line was pretty long, I was glad they were still out on our way back! 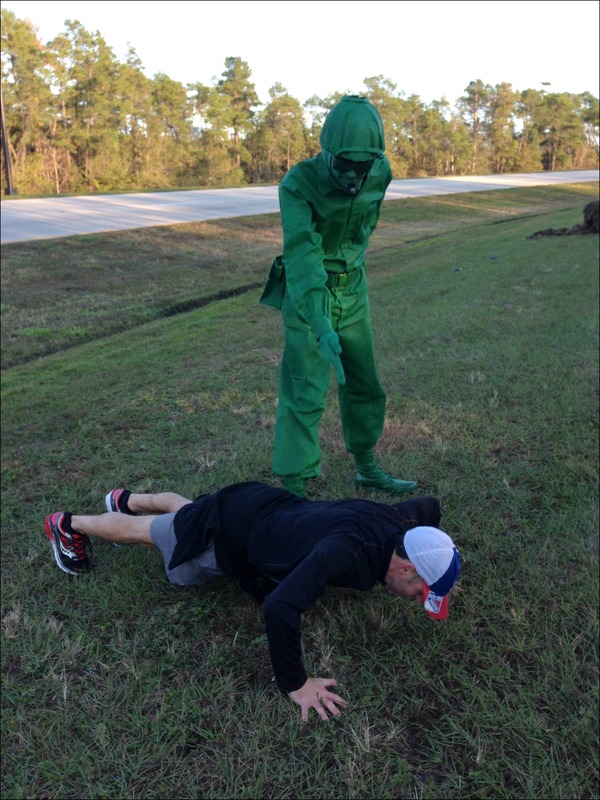 I knew we were headed towards a hill and the green army man (we heard him before we saw him), so I got ready to do my usual mid-race push-ups! 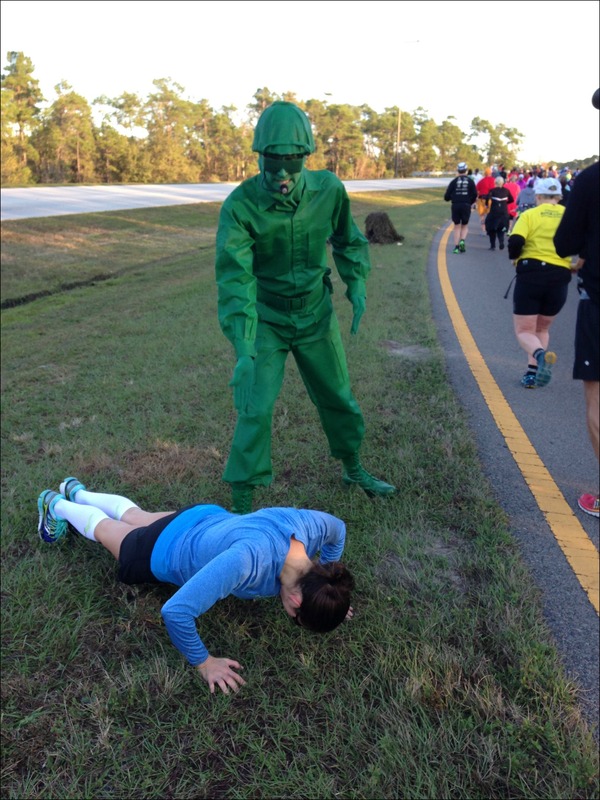 …and when we passed mile 12 I pointed out to Jason that it was officially his longest run EVER! We entered Epcot, looped around and headed under Spaceship Earth, ran past the choir and towards the finish line! As we crossed the finish line I distinctly remember having a whole jumble of different emotions and thoughts – I couldn’t believe this race we were looking forward to for so long was over…I couldn’t believe I had to run twice this distance tomorrow…I couldn’t wait to get my warmer clothes out of my checked back (my hands were still freezing! )…but most of all I was SO proud of Jason! 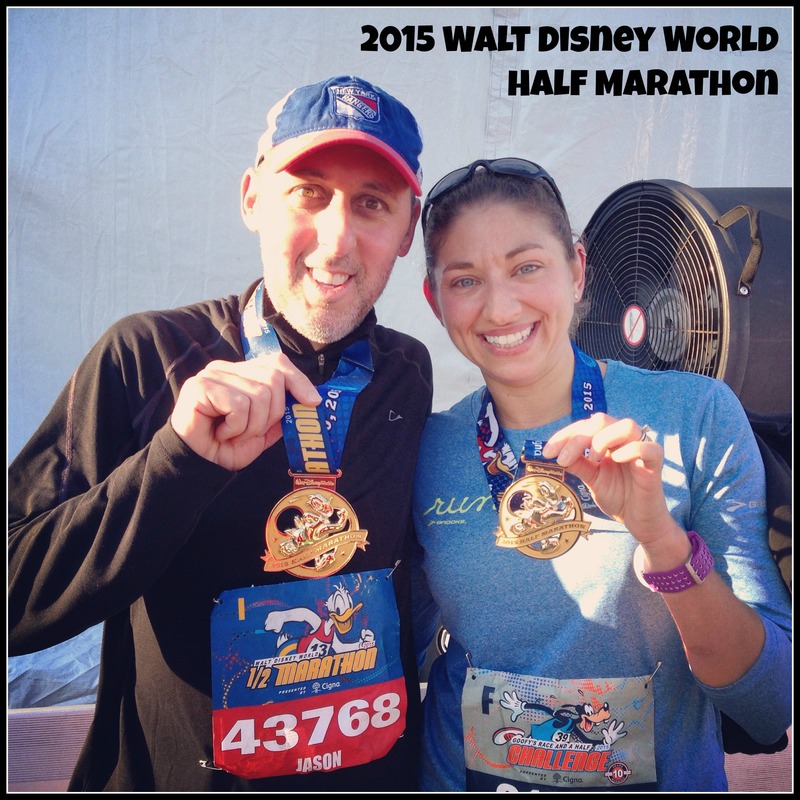 Up next – the Walt Disney World Full Marathon! P.S. – Jason’s going to be writing his own post! Any questions for him on training for/ running his first half? 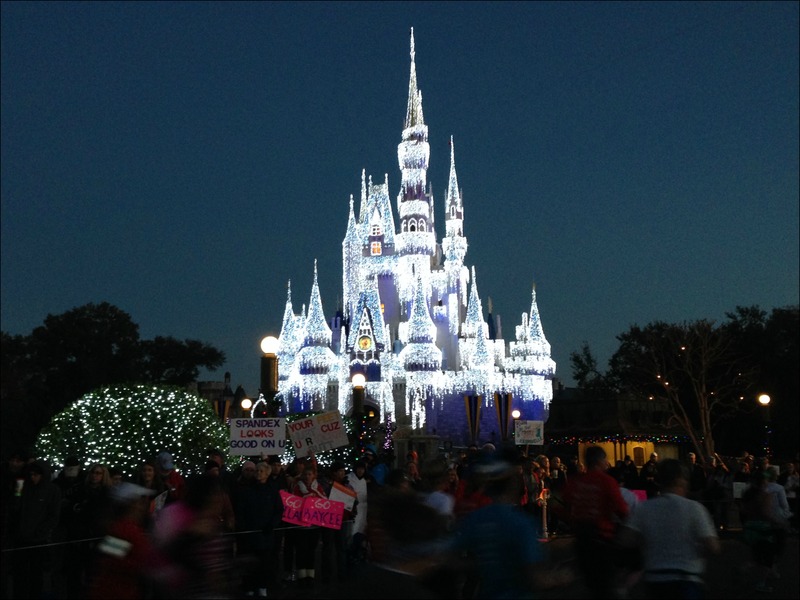 Or running a runDisney race? CONGRATULATIONS JASON!!!!! I can’t wait to read his recap! I think Kellie’s right, I think you should sign up for this Dumbo race thing, I mean, Jason needs vengeance on that one, right? Congratulations to you both!! 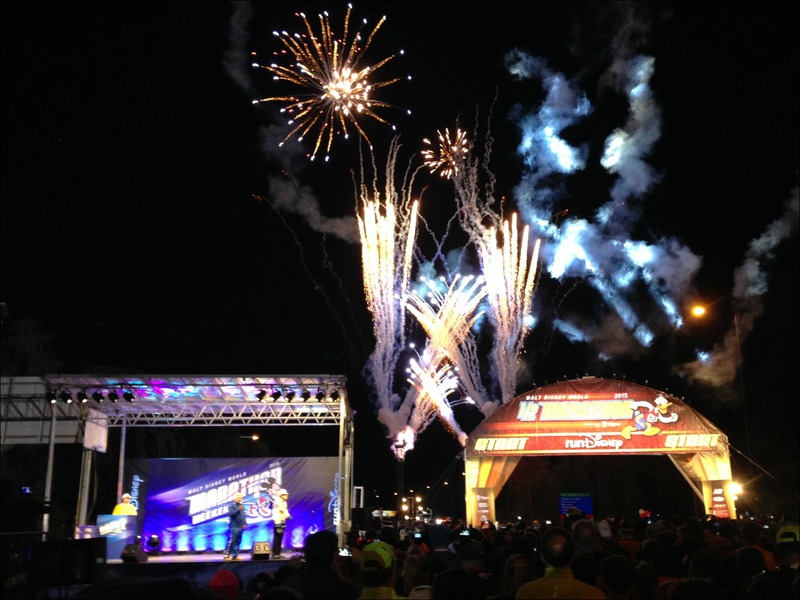 Knee pain aside, sounds like a great race! And I LOVE that you got a photo with Abu. I’ve never seen him before! He looks kind of crazy. Love Megan’s sign too! This was so much fun to read. 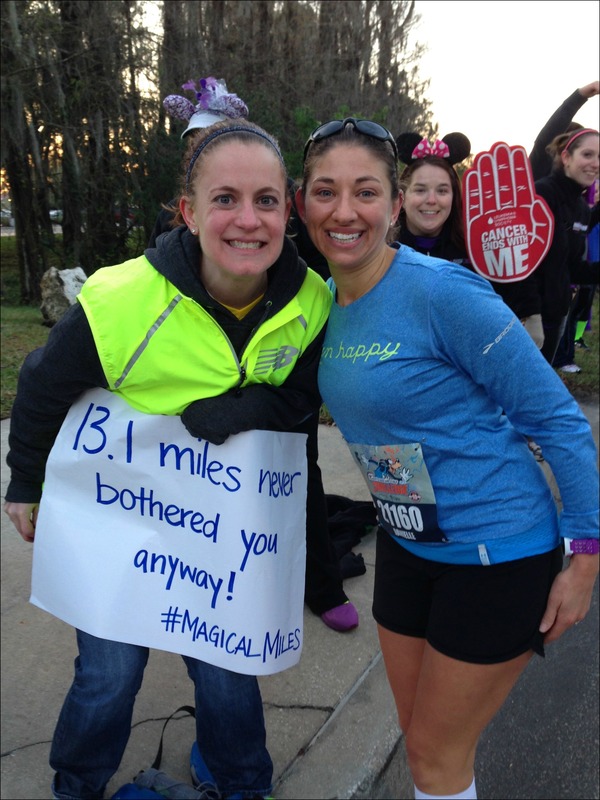 Isn’t it amazing to run with someone who is doing their first half marathon. Your character photos came out so cute and the medal pic is super cute. 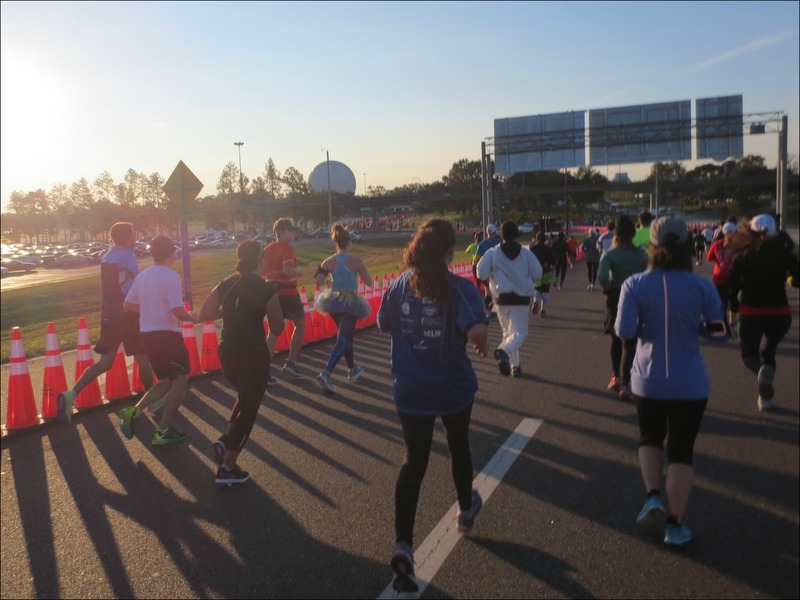 If you want to do a spring race in Wilmington, NC, we have an awesome flat and fast half marathon called Quintiles Wrightsville Beach Half and Full Marathon and we have an awesome guest bedroom. However, I am not a great cook but I can make spaghetti! Great job! 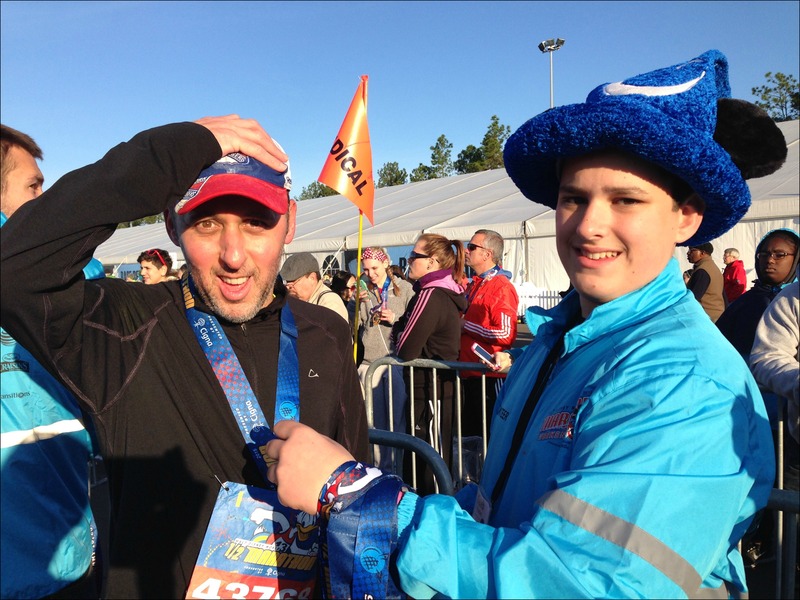 I also remember that feeling crossing the finish line. I caught between wanting to cry and not wanting to cry. I don’t think I’ve ever seen Abu in the parks, and the Aladdin stop looks fun. Aw, great recap! You guys got some awesome pictures. I was excited to see Genie and Abu together, also! I know how excited I was to run Todd’s first half — and then first full! — with him. There’s nothing like it! And it sounds like Jason has caught the running bug, which makes it even better. 🙂 Congrats again to both of you! Yay, congrats to both of you! Yay Jason! and congrats to you too Danielle. Knee pain aside it sounds like it was a great first half for him. I look forward to reading his recap too. Your enthusiasm just comes right through! Love it! Great post. Sooooooo proud of Jay!!!!!! Love the pis’s. Very sorry we brought the cold weather with us from Ct. the day before you got here. Very happy for the both of you for running the race together,so proud of you both!!! !